OBI baby or child carriers are manufactured according to the philosophy of OBI Fashion. Comfortable clothing made from natural fabrics with the hard wearing capabilities of martial arts training materials. Many martial artists subject their training suits to years of hard training, and the only thing that happens to them is that they become softer. The core of the OBI is double cotton strapping which produces enormous strength, able to support 100kg at a dropping distance of 20cm (i.e. jolting). This is the same material as heavyweight Olympic judo contestants use for their belts. 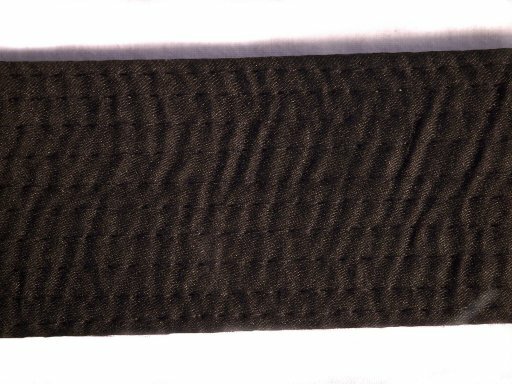 The OBI belt we use is specially widened to 5cm for additional strength and support, with a man-made satin finish to make it soft on the skin. The belt is finished with ten lines of embroidered stitching to give many years of practical use. The buckles and clips are high impact resistant plastic designed for outdoor activities, resulting in a small, lightweight yet highly robust piece of child kit for active parents.